Warning: These favourite dessert shops will hit the sweet spot! Whether you’re looking for a place to treat your kid, or simply to satisfy your own sweet tooth, these amazing places each offer something unique. Easily reachable by SkyTrain, Coquitlam can no longer keep its coveted eateries secret. Whether you are looking for a buzzy café to meet up with friends, or something a bit different to tempt your taste buds, you might want to bookmark this page and work your way down the list. 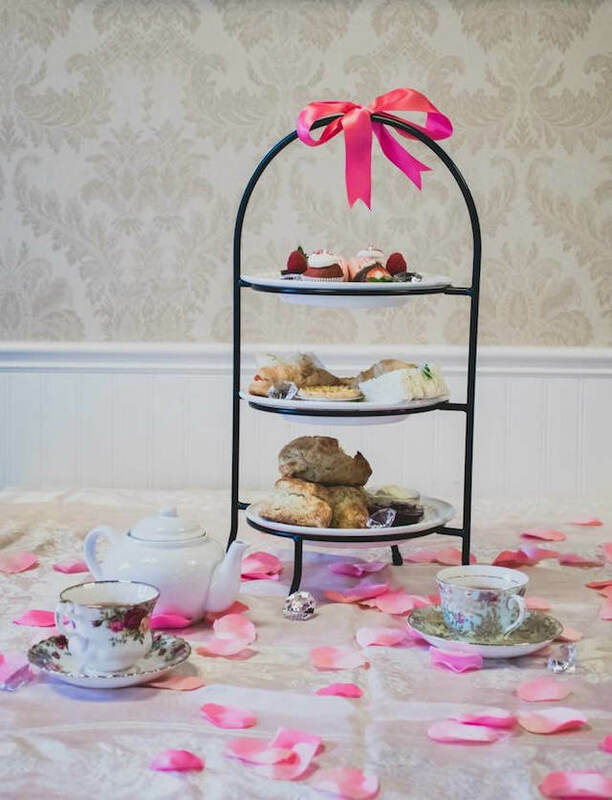 High Tea is served in the traditional British manner, featuring buttermilk scones with jam and Devonshire cream, as well as posh sandwiches, an array of desserts and more (reservations are required). Or drop in for freshly made cake pops, French macarons, cupcakes or cakes that are almost too beautiful to eat. This delightful shop is located on Barnet Highway, a short walk from Coquitlam Centre. Although this dessert shop has only been open a few months, word of mouth is spreading fast. It specializes in tofu cheesecakes, which originated in Japan, and let’s just say these delicious treats are flying out of the display case. The taste is light and creamy – not rich and high calorie, like a typical cheesecake – with a variety of flavours ranging from mango to organic green tea, 75% chocolate, Americano (made with real espresso), and fresh durian. It’s located near SkyTrain and Coquitlam Centre. If you haven’t paid Henderson Place Mall’s food court a visit lately, here’s yet another reason. 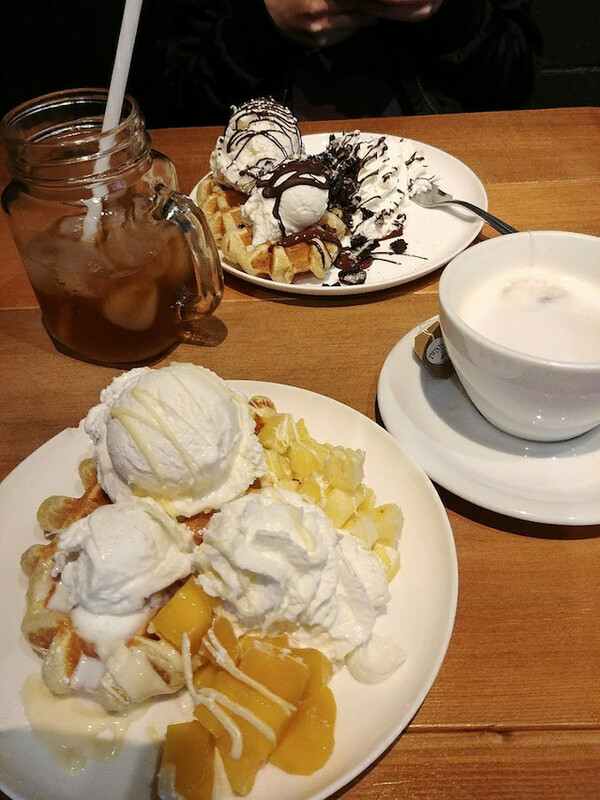 Located across the street from the Lincoln SkyTrain station, head into the mall and up the stairs to this delectable café. You’ll find Korean shaved ice bingsoo, baked pastries, Soft Peaks ice cream and coffee from Republica Coffee Roasters, all presented with style and absolutely delicious. 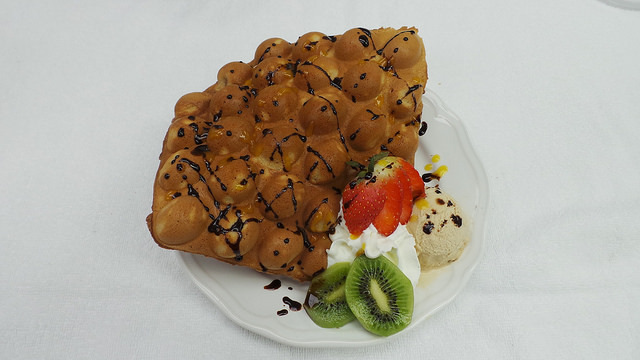 Picture a freshly baked waffle topped with ice cream, whipped cream and your favourite fruit. Mmm…the menu offers a wide variety of flavours as well as quality coffees and teas. This restaurant, located on the foodie strip of Glen Drive near Coquitlam Centre, is open from brunch until 11:00 pm for those late-night sweet cravings. Behind its unassuming exterior on Lougheed Hwy. 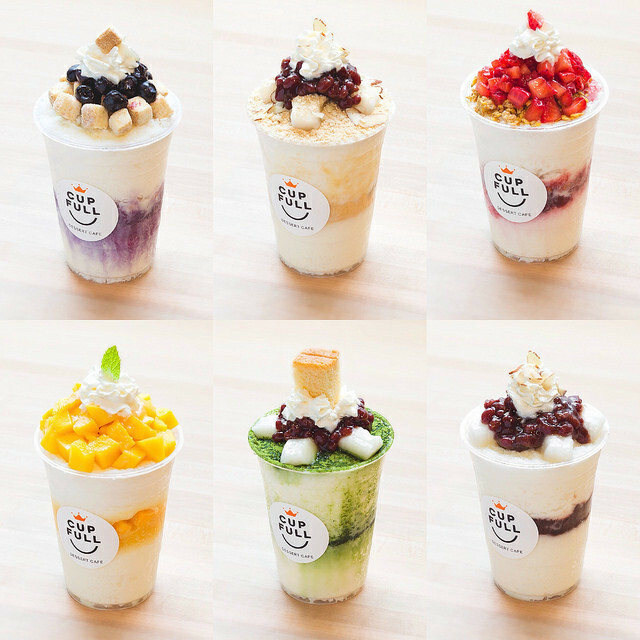 near IKEA is this new Korean dessert shop with many enticing selections. One highlight is the homemade rice flour waffles, although a quick glance through their Facebook page and you might be tempted to try a bit of everything, from rice cake churros to rice roll cakes and snow ice flakes. “A sip of hot chocolate and a bite of soothing dessert, you’ll find yourself in a state of ecstasy,” reads the website. 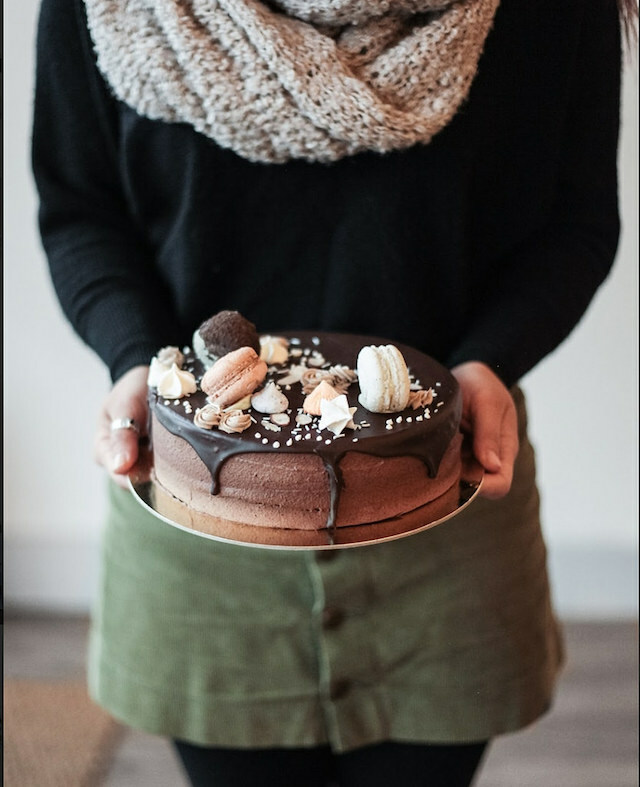 This cozy Belgian chocolate and French dessert shop on North Rd., by Austin Ave., is a popular study spot and stylish meeting place. You’ll find a huge selection of drinks, from Belgian mochas and mango slushes and green tea lattes, but it’s the desserts that really take the cake: think Oreo cheesecake, matcha tiramisu, strawberry roll. 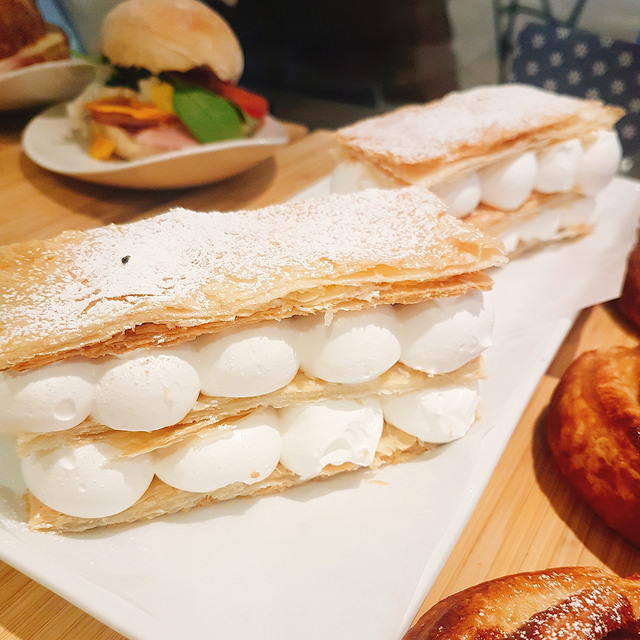 This café, located in the Austin Heights neighbourhood, is a stylish spot to catch up with friends over a coffee and treats. You’ll find in-house baked goods including everything from house-made marshmallows to quaint macarons, tasty cookies and pastries, not to mention a wide selection of coffees and teas. One of the newest additions to Coquitlam’s dessert scene, the offerings at Snowy Village are as tasty as they look. And they look pretty spectacular! They specialize in bingsoo, which includes snowflake shaved ice topped with sweetened condensed milk, whip or ice cream, and your choice of fruit or sweet topping. It’s a short walk from SkyTrain or Coquitlam Centre. There’s just something about cupcakes that induces toothy grins. 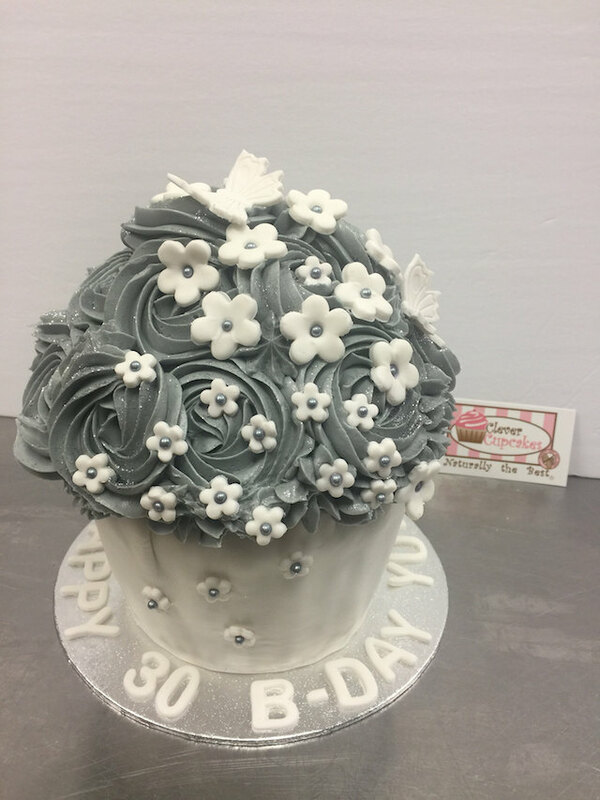 Maybe it’s the generous dollop of icing begging to be licked off the top, or perhaps it’s the bright colours or creative flavours that make them fun and curiously experimental. Whatever the case, The Clever Cupcakes is tempting for both kids and adults, with a delicious gluten-free option. The shop is near Coquitlam Centre and Lincoln SkyTrain station. Any time of the year is great for ice cream! All the products at Marble Slab Creamery are made fresh in-store with real Canadian dairy. They offer more than 50 flavours of ice cream, with 20 mix-ins including nuts, candy, fruit or chocolate. For more fun things to do while you’re in Coquitlam, read the City’s Travel & Experience Guide. Share your foodie adventures with us on social media! Tag #ExploreCoquitlam.